Whether you like the adventure of voyaging out to the deep blue offshore waters or would prefer to take a more relaxing flat water bay fishing trip, there are many options available to satisfy anglers of all ages and abilities. Fishing is a great way to bond with your family, friends, and co workers. Book a deep sea or bay fishing trip with one of our professional fishing guides and charters to experience the best fishing the Gulf of Mexico has to offer. Speckled trout, flounder, black drum, redfish, tarpon, red snapper, mahi mahi, amberjack, blue marlin, tuna, and sailfish are just a few of the fish commonly caught while bay fishing in the Laguna Madre or during a deep sea fishing trip in the Gulf of Mexico off the shores of South Padre Island. For fishing reports, tide charts, wind and weather info click here. Capt. David Naranjo with over 20 years experience fishing the Lower Laguna Madre including Port Mansfield, Arroyo City and South Padre Island. Full time fishing guide, Captain Gary Farmer invites you out for some shallow water bay fishing for Trout, Redfish, Drum and more. Amateur to Pro welcome, children encouraged. There is room for up to 6 on the 24 ft. Carolina Skiff. Bait, tackle, ice and a great time on the water is provided; all that is missing is you and your Compadres. We coordinate group trips too! “One Stop Activity Destination” Breakaway Cruises is prepared to make your South Padre Island vacation fun, informative and an experience you will not forget. Our goal is to make the time you spend with us be the highlight of your trip to South Padre. Our online ticketing will always be the best prices we offer. Offering anglers and their families the finest Bay Fishing experience South Padre Island has to offer! Come aboard the 24 ft. Carolina Skiff offering plenty of room and a safe ride for up to six people with high sides for the kids. Half day and full day trips are available. 20 years licence guide and professional tournament angler. Will put you on the fish. My goal is to improve everyone's fishing skills while having the most fun ever!! From expert anglers, to never fished before. Kids & families welcome. Blast to cast Guide Service is a Bay Fishing and Duck Hunting Guide Service located on South Padre Island. I specialize in drift fishing for Redfish, Trout, Flounder, and Snook. I fish with artificial lures, live baits,and cut baits. Amateur to avid anglers are welcome. I am kid tested and family approved. I will work hard to put you on the fish,while providing a fun fishing environment! From November through January, I also book Duck Hunts for interested clients. Hello, Captain George Flores here! I have over twenty-five years of fishing experience. I specialize in catching redfish, trout, flounder, snook, and other species. I love fishing and enjoy sharing different experiences on the water with others. I welcome professionals, beginners, families and groups. It would be pleasure to have you join me on the water and give me the opportunity to have you all enjoy a quality fishing experience. Captain Bryan Ray has been a professional full-time fishing guide on South Padre Island since 1974. His years of experience and knowledge, along with his love of fishing, make him one of the most sought after fishing guides in the area. Captain Bryan has a 100 ton Coast Guard License, so whether you want to fish close to the jetties, or venture out for a half or full day of deep sea fishing, Captain Bryan is the guide for the job, and he will send you home with memories and fishing stories you will tell for years. 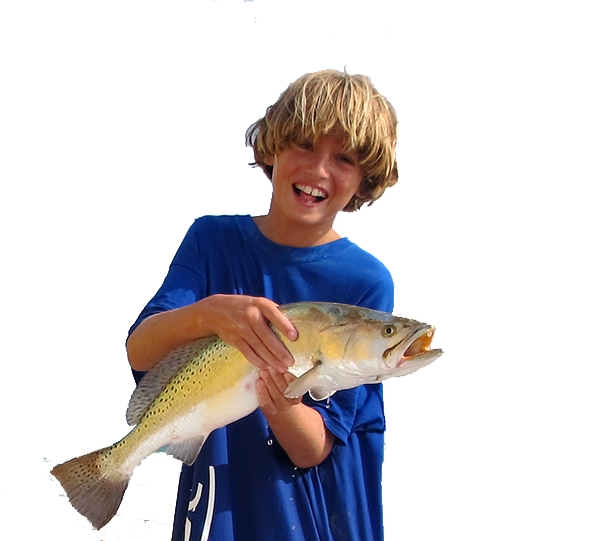 Captain Lou Austin is a highly qualified and experienced Fishing Charter guide who loves teaching kids. 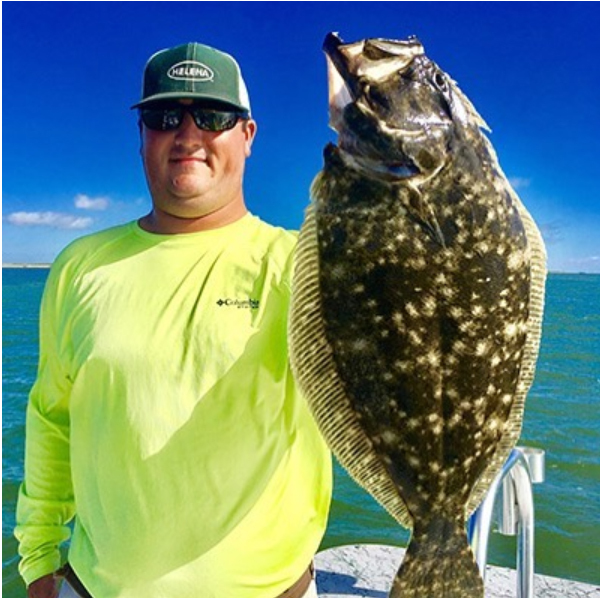 Experience and passion for bay fishing has made Lou the most popular fishing guide on the Laguna Madre Bay South Padre Island & Port Isabel Texas. I use light spinning tackle to fish for speckled sea trout, redfish, flounder, black drum, mangrove, snapper, grouper, and snook. The type of fish depends on the time of year. With every trip you will catch a lot of fish and have a lot of fun! Captain Dave is a full time licensed fishing guide providing private bay fishing trips to the experienced and beginner anglers. Whether it is teaching children the techniques of fishing or sharing his knowledge of seasonal fishing patterns on the bay, Capt. Dave will work hard to ensure you catch fish and have fun. Half day and full day trips available. All light spinning rods and reels, tackle and bait included. Additional boats available upon request. 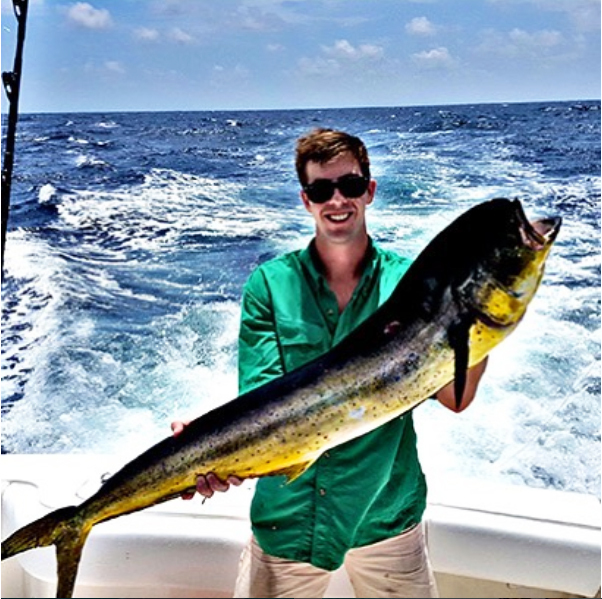 Dos Grings Fishing Charters - Captain Grady Deaton, Ph.D. Licensed guide Capt. Grady John Deaton, Ph.D. has a U.S. Coast Guard 50-ton Master License and has been fishing the Lower Laguna Madre for redfish, trout, and flounder since 1973. He fishes out of Arroyo City or Port Isabel / South Padre Island in his 24' Dargel Skout. He also does close-in offshore fishing for King mackerel, Spanish mackerel, and other near-shore deepwater species, and fishes the Brownsville Ship Channel for snook and mangrove snapper. There may be a lot of fish in the sea, but there is only ONE Captain Murphy's. Although we are known far and wide for our fishing, Captain Murphy's is most famous for havingFUN! Whether you are watching dolphin, catching red snapper or enjoying a beautiful sunset, our helpful and knowledgeable crew will ensure you leave our boats with a smile. 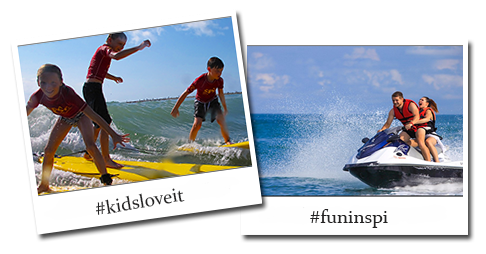 Call to reserve one of our South Padre Island activities today. The Gulf of Mexico is renowned for some of the best fishing opportunities in the United States. So, jump aboard one of the excellent South Padre Island deep sea or bay fishing charters for the experience of a lifetime! Our licensed captains offer a variety of full day and half day private or party boat deep sea and bay fishing trips. You’ll find spacious boats with top quality rods and tackle along with professional captains ready to put you on the fish! Docks are conveniently located in South Padre Island or Port Isabel for a quick and easy gateway into the waters of the Gulf of Mexico and Laguna Madre Bay. 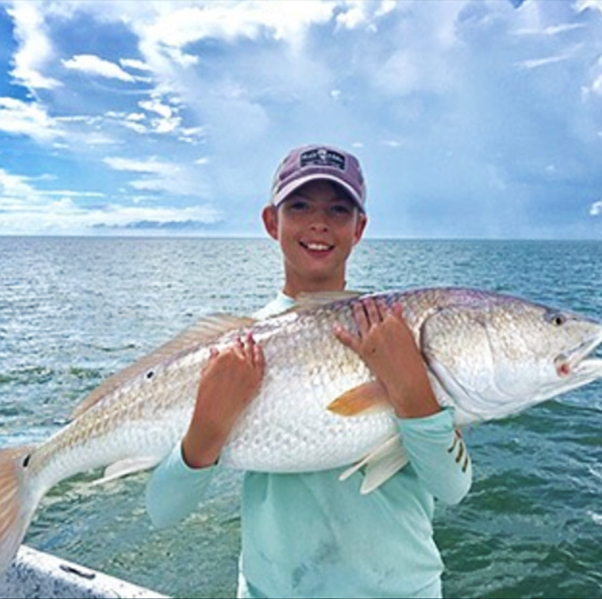 No matter your level of experience, the fishing guides in South Padre know how to cater to any kind of fisherman – from seasoned anglers to kids and families as well! For a look at what is currently being caught in the bay, check out Captain Mike Knox of Blast to Cast Charters most current fishing report here on SPadre.com. Private fishing charters means that your group will be the only ones on the boat with the captain, while party boats are typically cheaper but you will be fishing alongside others. Deep Sea Trips will take you into the offshore waters of the Gulf of Mexico where you will typically be on larger boats that can handle the ocean swells. Bay Fishing Trips are on the shallow, calm, waters of the Laguna Madre. When making your reservation, don't forget to check with your guide to see fishing license requirements. Deep sea fishing charter catches include hard pulling fish such as Grouper, Snapper, Sharks, Amberjack, Wahoo, Kingfish, Barracuda, and Tuna. 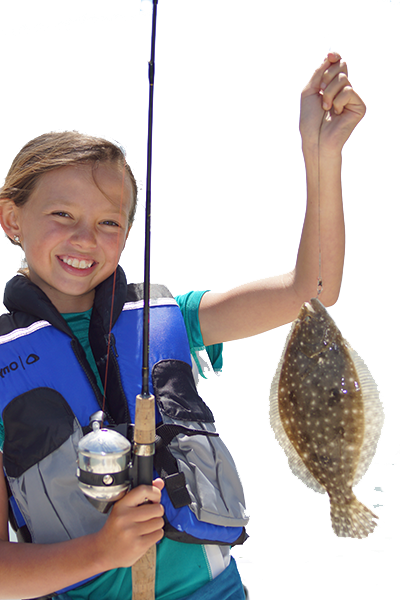 Bay Fishing catches are primarily Trout, Redfish, Flounder, Whiting, Drum, Shark, and Sheepshead. 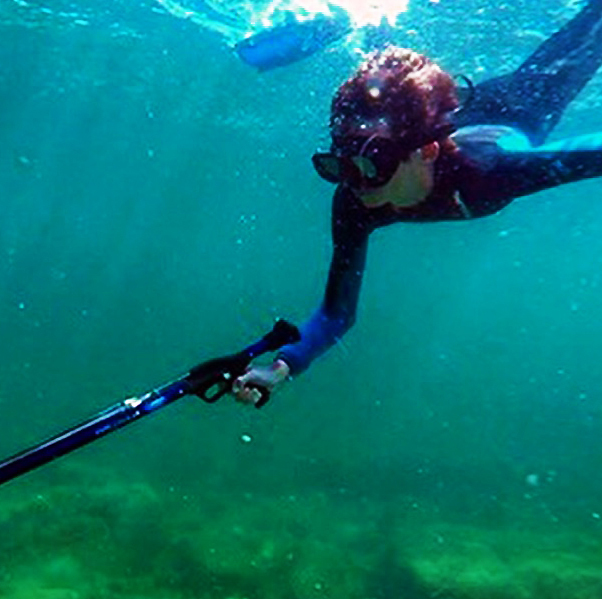 Saltwater fish are not only fun to catch, but are delcious and healthy! Many local restaurants will cook your catch for a fraction of the cost of the regular seafood menu items. There are also a couple of local taxidermist on the Island if you would like a trophy to back up your stories and memories! With all of the varieties of fishing adventures available on South Padre Island, choose the experience that fits you best. 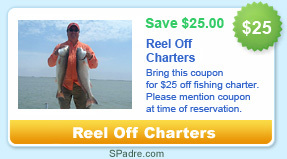 Book your South Padre Island fishing trip today!